to protect work tops from things that are hot. made using easy to care for cotton yarn. 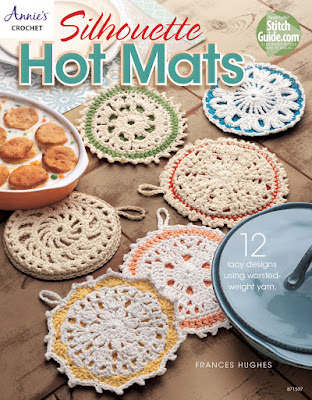 a beginner crocheter can give them a try. show off the colours through the top design. gives each one it's own unique look. as a quick present for family or friends. the most being 60 yards of one colour. However most are 50 yards or less. the you'll really like this book. The book is really good value for money. you'll use them time and again.